I’ve been working in Excel a lot the past weeks and often need to fix the formatting. A nice little trick to copy the formatting for a cell, row or column is the format painter, but it’s a hassle to keep clicking on all the ribbons to actually press the button! It was one of the few things in Excel where I would use the mouse. 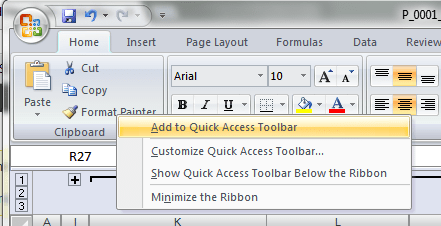 Shades “Format Painter shortcut in Microsoft Excel | Joris Visscher”.